In a Nutshell: For many people concentrating on achieving financial security for the latter parts of their lives, seeking assistance from a financial advisor is common. However, even financial professionals need help. Offering massive amounts of well-curated, accurate data and the proper tools to help clients pinpoint and understand their best investment options, experts are turning to YCharts. This online suite of tools combines research and decades’ worth of data to give wealth managers, consultants, accountants, and other financial professionals an accessible, modern terminal that helps them make informed decisions wherever they are. Depending on your age, investment and retirement planning may not be high on your radar. But for people who are looking down the financial road ahead and trying their best to not just retire, but retire comfortably, the advice of a wealth or financial advisor is a valuable asset. The staff at Connecticut-based Sungarden Investment Research is in the business of helping people invest and plan wisely. But to do that and do it well, affordable, easy access to investment data is key. When Sungarden’s co-founder and Chief Investment Strategist, Rob Isbitts, considered the importance of staying relevant and innovating with the times, he knew he needed a high-performance, web-based, easy-to-use research tool. As a big believer in investing in improving his firm’s technology if it delivers good value, he knew YCharts was the best choice. The number one feature that attracted Sungarden to YCharts was the ability to chart many different data points on a stock, such as the price/earnings ratio or dividend yield, as well as the stock price. For professional financial advisors and amateur investors alike, YCharts is an effective solution. With access to data presented in a truly incredible level of detail and the ability to download and export beautifully constructed data charts for their own personal use, investors of every level of expertise can turn to this valuable resource. Perhaps the most appealing aspect of the YCharts interface is its usability. Anyone who can navigate a modern website with ease will have no problems gaining valuable insights from YCharts’ user-friendly portals. This is especially important for wealth managers, for whom time is always at a premium. Wealth managers must oversee many clients’ investment portfolios in addition to conducting a fair amount of research. YCharts’ Investment Strategies application enables wealth managers to set up customized screens using metrics that will identify the most beneficial stocks that meet their unique investment criteria/thesis. This feature also creates screens based on the strategies of investing luminaries with whom the advisors identify. YCharts has accessible data points required to replicate these professionals’ investment processes. Investment Strategies also provides deep dives into companies that advisors are considering adding to their plans, offering more than 4,000 data points and up to 30 years of history on each company. Investment consultants are another group who also stand to gain from YCharts’ easily accessible data tools. The site helps consultants in everything from making their case to a client or building their position as an industry thought leader. For example, YCharts’ full suite of metrics and flexible comparable analysis and data export tools makes benchmarking clients against their peers extremely easy, which can highlight the results of broken processes. For investment consultants, knowledge is power. The more that consultants can present themselves as true thought leaders in the dizzying world of investment, the better both they and their clients will fare. YCharts’ Excel Add-in allows ultimate flexibility when accessing its massive database. Consultants need only enter their data series and watch the data populate their spreadsheet. And with more than 400,000 economic time series, YCharts provides data on the indicators that clients want to follow. Visualization, formatting, and export tools allow consultants to always be armed with the numbers they need to truly provide for their clients’ best financial interests. YCharts’ applications provide a dynamic suite of some of the most powerful presentation-building and strategic tools available online. The Charting application, in particular, provides the ability to synthesize large amounts of data into an easy-to-understand visual presentation, making it simple to help clients interpret and communicate insights from market data. 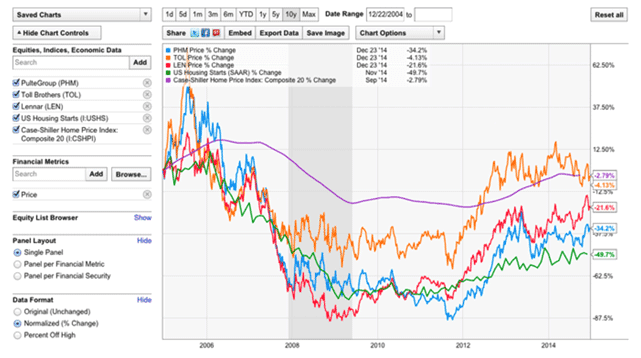 YCharts’ Charting application makes it simple to visualize financial and economic data by providing tools that help advisors construct basic price charts or plot historical EV/Revenues ratios with U.S. retail sales data overlaid. And the charts themselves are appealing to look at as well, all the while showing as many as 4,500 different financial metrics with up to 30 years of history on each metric. YCharts’ Charting application creates highly visual graphs to help make sense of financial data sets. Finding entry and exit points is simple with YCharts as well. Advisors can start with any one of YCharts’ more than 25,000 stocks, 2,400 ETFs (Exchange Traded Funds) or 26,000 indices. Saving images of the charts or exporting to Excel can be done with a single click. The Equity Stock Screener is another valuable application in YCharts’ tool box. With more than 4,500 metrics on 25,000 stocks, there’s more than enough data for an advisor to parse and use. The Stock Screener allows advisors to create filters with metrics from numerous categories, including financial ratios, returns data, moving averages, advanced model scores, analyst estimates, and other numbers helpful in investment planning. The Investment Strategies application lists stocks using quantitative strategies which have been tested historically for returns, meaning these are likely to perform well for advisors’ clients. One of the most unique features of this particular application is its series of filters based on highly successful and respected investment moguls. There is the Warren Buffett Universe, the Peter Lynch Universe, and the Ben Graham formula. All of these are based on their published investment strategies outlined in various books. The ability to download and arrange data in specific configurations depending on need is very important to advisors. And the Tables application makes it easy to align data and transform it to meet any analytic need. Tables allows for multi-security comparison, which provides a view of several current metrics for a list of companies, making a fast comparable analysis. Tables also provides organized time series analysis data before downloading as well as access to organized financial data on more than 400,000 economic indicators. Again, all of this formatted data can be moved directly to Excel or to a custom sheet with YCharts’ Excel Add-in syntax built right in. YCharts users can set alerts for when numbers change for individual companies or watch lists. Finally, as any advisor will admit, staying abreast of their securities’ most relevant metrics is critical. YCharts’ Alerts application sends notifications directly to your inbox. 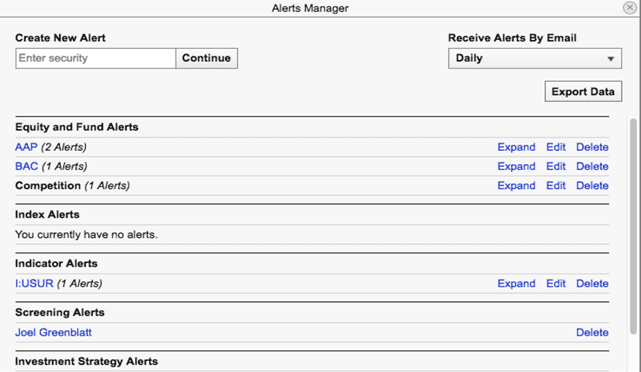 What’s more, the alert center is built right into the main dashboard, making it simple to view and manage every alert, from individual companies or watch lists, wherever you are. As Sungarden discovered, YCharts has leveled the playing field of financial investing and advising. Before YCharts, professional and amateur investors alike had to rely on more expensive, less user-friendly sources for data. As millennials begin to age into spending and investing years, tools like YCharts are sure to become more prevalent. Millennials are the largest generation in history, even bigger than Baby Boomers. And with YCharts and its user-friendly interface, attractive downloadable charts, and on-the-go notifications, investment-savvy millennials are sure to gain. But novice millennials aren’t the only group that stands to profit from YCharts. Established investment advisors are already benefiting from YCharts. Long-term value investors like registered investment advisors, hedge fund managers, consultants, and sales professionals, seek out YCharts for more equity research and metrics. This group also relies heavily on accurate data, something that free services similar to YCharts often lack. 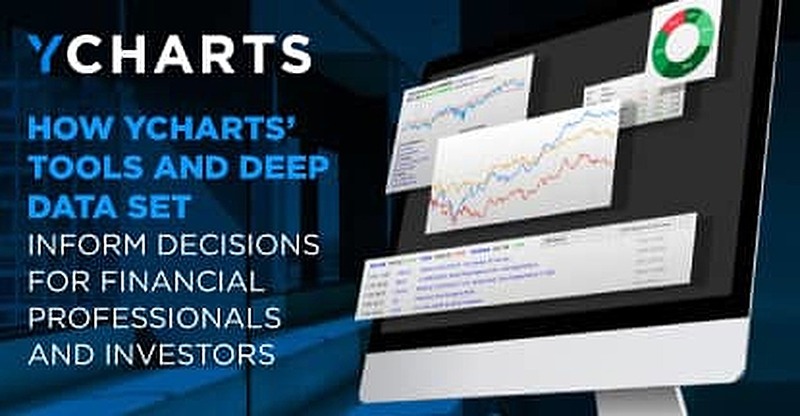 With its abundance of easy-to-access and presentable data, funds indexes and economic indicators and services like stock and fund screeners, YCharts remains a top choice to help users make the most informed financial decisions.